I don’t speak Spanish, so surely misunderstood the original question. 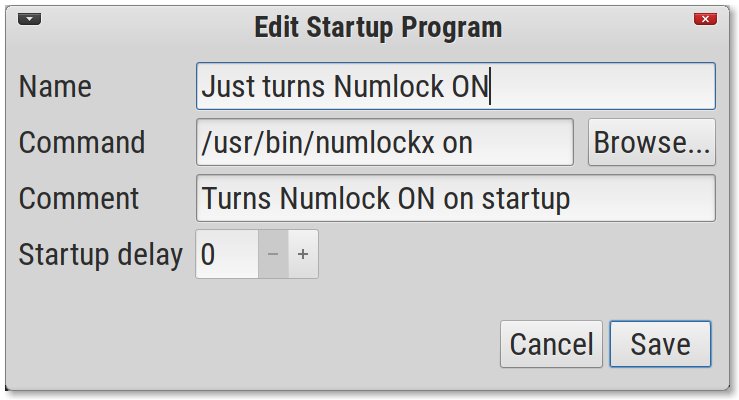 I thought it was related to setting Numlock ON in Cinnamon session only, and not earlier, before an Xorg session startup. Both methods use setleds utility (installed by deffault) to control and set a desired keyboard modifiers state. Both methods work when a system reaches multi-user.target. It means that Numlock (and other modifiers) will be set to desired state even before display manager or Xorg session start. Both are easy to implement, though require some skills. 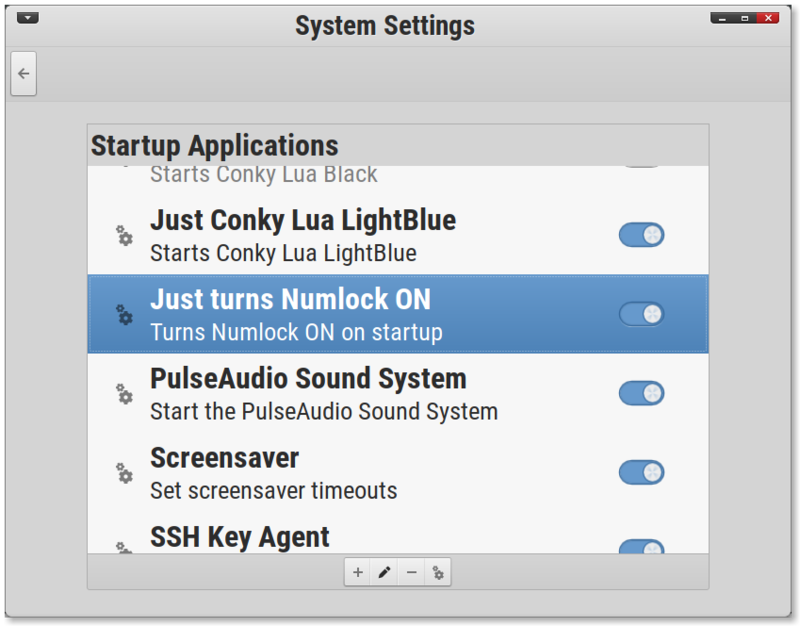 @racingclub1903 There are many different ways to control Numlock state on startup. Read about them in ArchWiki here. It will be automatically executedd on each Cinnamon session startup. Ok. I removed aur/ffmpeg2.8 and try to update. This is another error, unrelated to the first one. The first one - the conflict between ffmpeg and ffmpeg2.8 - is solved.